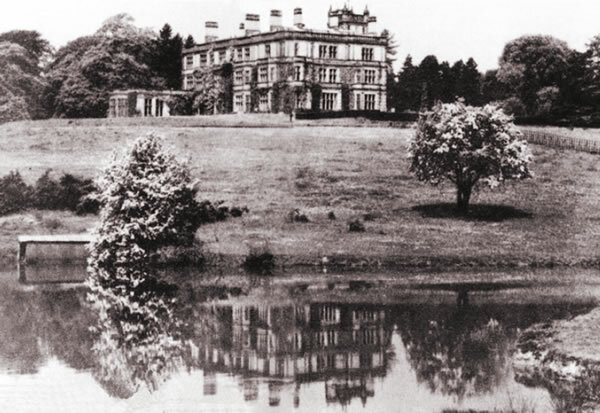 The residents of Byrkley Lodge, like those at Yoxall Lodge lying little more than a mile south on Linbrook, found the natural brook, the valleys and plains, the fertile soils and the picturesque gnarled oaks all lent themselves well to the designs of landscape gardeners. Before he sold Yoxall Lodge to John Gisborne in the mid 18th century Sir Nathaniel Curzon had Ernes, a landscape gardener following the tradition of ‘Capability’ Brown, design improvements for the grounds there. Brown himself was planning the complete rebuilding and landscaping of Fisherwick for the Marquis of Donegal. The Marquis purchased Byrkley Lodge from Lord Townshend and the watercolours of the house and grounds in 1786 show clearly the influence of these gardeners who blended their cultivated art with nature. On a 1775 map to the nobility Byrkley Lodge is the only building in the wooded area of the Needwood Forest Plateau except for Yoxall Lodge. Its only neighbour at this time was Hanbury Park Farm some 3 miles north. The inhabitants of many of the great houses in the vicinity were closely associated by ties of friendship and marriage. They shared enthusiasm for hunting and fishing, archery and battledore, books and poetry, music and painting, and exchanged ideas on gardening developments. Many interesting figures of this period found pleasure in this company: William Wilberforce, Erasmus Darwin, Joseph Wright, Richard Lovell Edgeworth (2 of whose 4 wives were sisters of Edward Sneyd) and the novalist Maria Edgeworth. Richard Edgeworth had 22 children. Edward Sneyd had only one and Mary Emma Sneyd did not marry. But one of her close friends, one of the 6 sons of Thomas Gisborne of Yoxall Lodge, married the daughter of Michael Bass of Burton-on-Trent. Mary (Bass) Gisborne’s brother, another Michael Bass, eventually rented Byrkley Lodge from Emma Sneyd in 1850. The deeds of this lease are interesting in the detail of care for the property stipulated by Miss Sneyd. Of particular interest are the gardens and greenhouses mentioned, hothouses, shrubberies and pleasure grounds. Michael Bass had to spend £350 for improvements and reparations and ‘keep the gardens and garden grounds belonging to the Mansion House cropped and manured and managed the same according to the most approved methods of gardening’. Sir Oswald Mosley wrote in his 1863 ‘Natural History of Tutbury’ that: “At Byrkley Lodge, for some years, families of pure white rabbits have been produced in the park where they make a very striking appearance”. 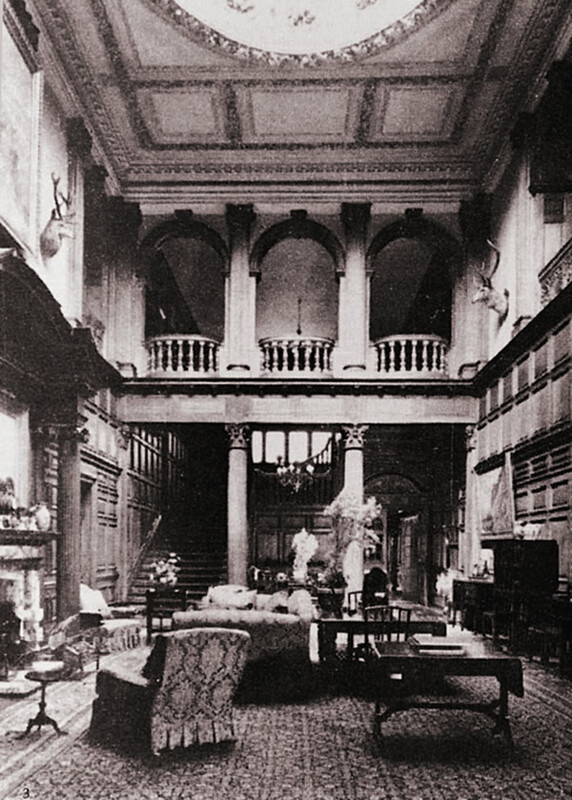 Before the Bass family rebuilt the Lodge, previous occupants had tried to make Byrkley different. Albino rabbits were bred and released in large numbers into the grounds. 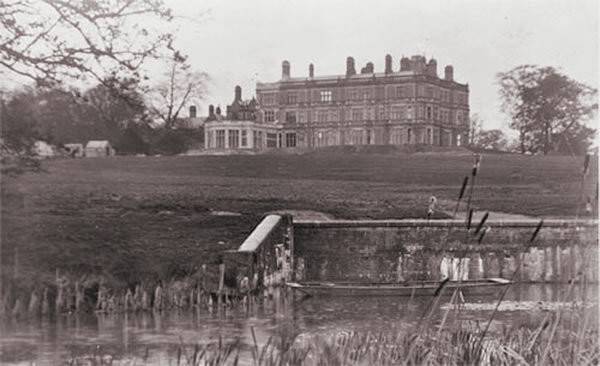 Byrkley Park was the only country estate in existence to have true white rabbits running wild. When the Bass family lived at the Lodge, workers were not allowed to shoot any of these white rabbits. Brykley Lodge was completely re-built between 1887 and 1891 for Hamar Bass. The above photo shows the impressive stairway. The stables at Byrkley Lodge, which survived for some time after the main house eventually demolished, enjoyed some fame and success. The Byrkley Stud produced ‘Love Wisely’ which won the Ascot Gold Cup in 1896. 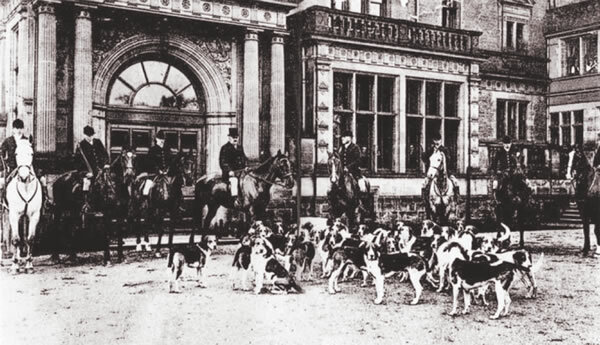 Hamar Bass was also the master of the Meynell (Fox) Hunt for 12 years so the hunt started at the front of the lodge. Hamar’s son, William, succeeded in his uncle’s baronetcy according to special remainder and inherited Byrkley Lodge. 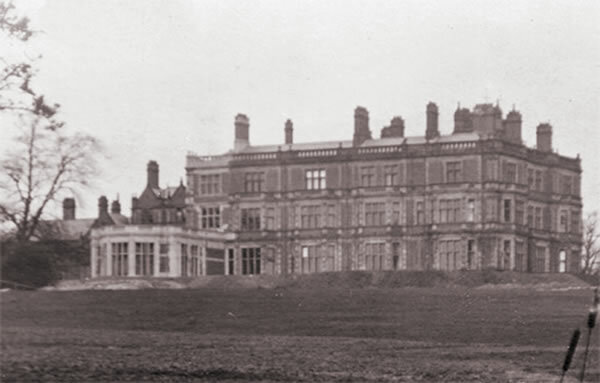 The great mansion left by Sir William Bass and sold in 1952 was demolished.